By earning a bachelor's degree in counseling you are opening up the doors to a wide range of career paths. You will be well prepared for careers in areas as diverse as mental health and career planning. This degree equips you with the basic skills of listening to people, communicating with compassion and helping others through timely advice. Once such training has been obtained, you will be prepared to work in countless settings that will provide you with opportunities to help people resolve conflicts. Possible job opportunities for a person with a bachelor's degree in psychology counseling include school counseling, career counseling, health counseling, and jobs in the retail sector such as human resources or public relations. Counselors are required to be fully licensed to legally work in the state in which they choose to provide counseling services. 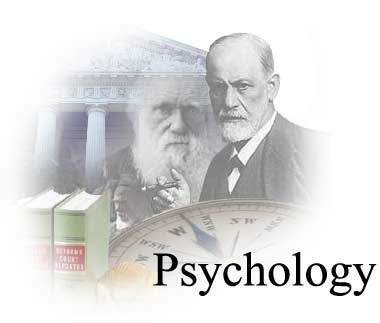 To obtain a degree in psychology or mental health counseling you must begin by applying to colleges or universities that offer a degree program in the area of psychology, which is closely related to counseling. You will also need to ensure that you have completed all of the prerequisite general studies courses that are required by the college, university, or online program of your choice. A total of 64 hours of general education courses are generally required before being eligible to enter a degree program. Knowledge will be gained through courses in areas such as ethics, psychology, human development, counseling research methodologies, patient assessment, child development, and family counseling. Supervised field experiences provide a valuable learning experience for those obtaining a degree in counseling. Online degree programs offer more flexibility when scheduling classes and working towards earning your degree. Depending upon your goals and the type of counselor you wish to become, you can take many different pathways to become a counselor. The type of counseling and the location in which you will be practicing play a large role in determining what educational experience and license or certification you may need. A wide variety of degrees can qualify you to provide counseling services. Within a general four year program you would need to select a core major from one of the following areas in order to work towards a degree in counseling: psychology, social work, human services, or sociology. You will then be able to add a specialization area of counseling to the area of your choice. Counseling can be a very rewarding profession that allows you to help others and show them ways to improve their lives. While completing coursework for a degree in counseling you will be trained to help others deal with mental health issues or emotional difficulties. Many times counselors are referred to as therapists. Counselors help people discover their problems and then attempt to guide them through solving or dealing with them. Counselors have superior communication skills, a great desire to help others and an extensive knowledge of their field that is gained through education and training. Obtaining a degree in counseling is not difficult but does require dedication, organization, and perseverance.